Somewhere toward the end of the year long struggle to quiet our upstairs neighbor, the lead singer of The Nymphs, my then-girlfriend brought home an electronic noise-buster. 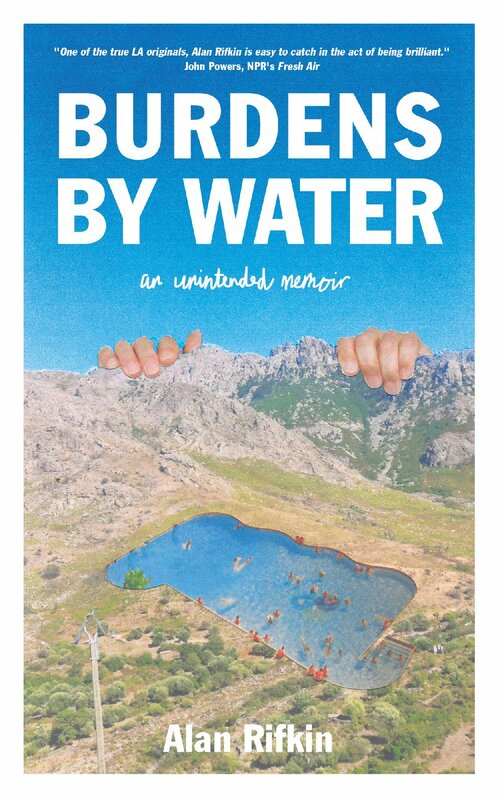 From "Wave Theory: A Prologue" to Burdens by Water: An Unintended Memoir by Alan Rifkin, published by Brown Paper Press. Once I started reading this collection of essays about life in Southern California, I couldn't stop, and I have no connection with or affinity for Southern California. I'm just entranced by Rifkin's stories. Yes - it's a bit like watching people on the beach - reading stories about people's neighbours, I'd find deep happiness! Enjoy. Alan Rifkin is not a name I have come across before and I have to admit that this book is probably not one for me. However, I did have an enjoyable few minutes visiting Alan's website, discovering what an intriguing person he is and what an interesting life he has enjoyed to date. I see that he is now in the process of writing two autobiographical novels, each one in individual collaboration with two of his adult sons, so I can imagine that they will also be insightful and entertaining. I'd be curious to read this one, especially if it has a strong sense of place. Do you think it does from what you've read so far? I live in Southern California, and I occasionally like to read books set around places I'm familiar with. A noise-buster? That sounds good - I hope it worked. I'm curious to have a look at this - although I don't often read essays. I'll watch out for this one. I'm interested in Southern California living. I love that beginning! The joy of living in an apartment. I love when a book that you wouldn't think would appeal to you really works. I'll have to look for this one. I love it when I a book in which I find a deep connection, especially if that connection surprises me. Glad you found yours here. I just joined in, thank you!! What a very good opener!